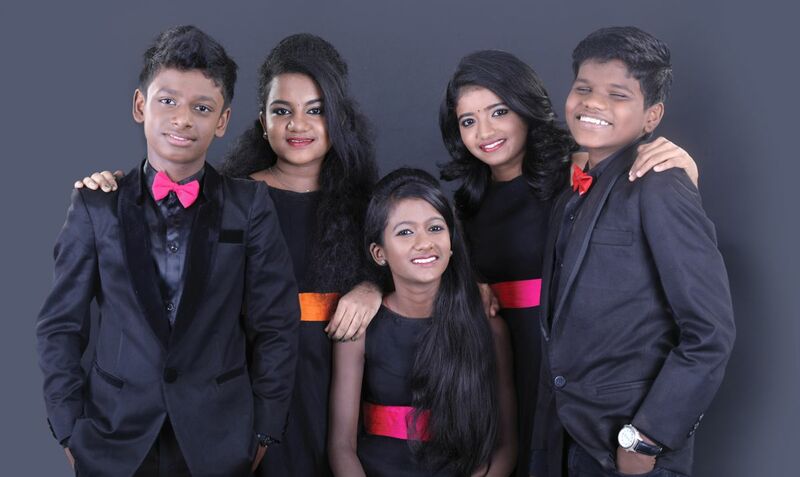 Vijay tv reality show Super singer junior 5 finalists are Dhanush SSJ 03, Monika SSJ 01, Bavin Vinod SSJ 07, Gowri SSJ 05 and Prithika SSJ 04. Super singer junior season 5 grand finale to take place on June 17th at D B Jain college grounds, OMR road, Chennai from 6 pm onwards. This season has seen the best bunch of talents with an ability to sing in various genres. The contestants were trained by the Voice expert Ananth Vaithiyanathan and the super singer stars like Nikhil mathew, Sai charan, Sreenivas and Pravin Saivi, who have a done their part as tutors for the contestants. This junior season has seen Singer Chithra, Singer Subha and Singer Mano judging and encouraging the talents. They will also be seen cheering and judging the little talents in that grand stage. Along with them, the musical pride Shankar Mahadevan will be joining the judges panel. 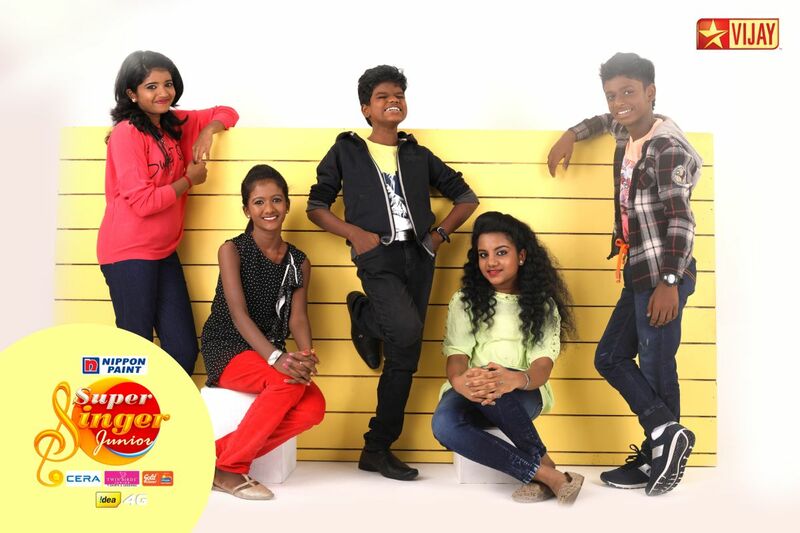 Leaving no stones unturned, the fifth season of super singer Junior has filtered the Top 5 finalists. 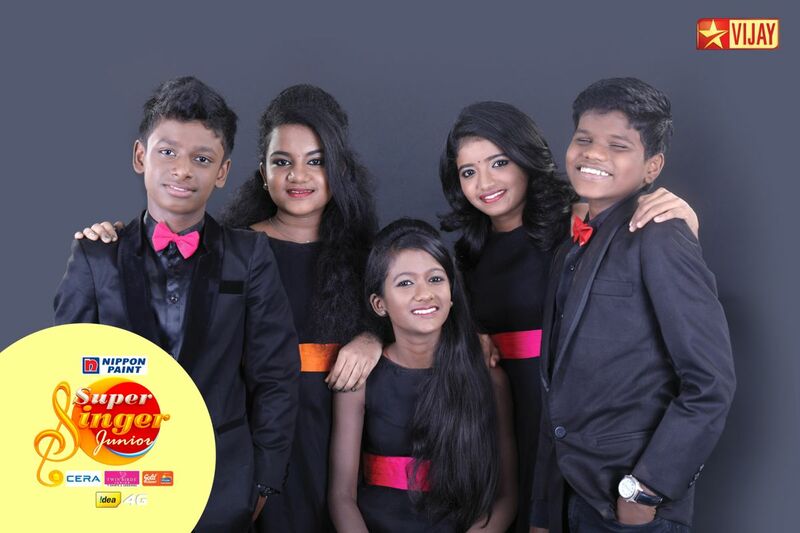 The proud finalists of Super singer junior 5 are Dhanush SSJ 03, Monika SSJ 01, Bavin Vinod SSJ 07, Gowri SSJ 05 and Prithika SSJ 04. After a yearlong rigorous musical battle in various rounds in front of legendary musicians , singers and celebrities, these top five contestants are now gearing up to perform in the prestigious grand finale stage. The finale will have two rounds. The show has seen many legendary musicians from yesteryears like Singer Janaki to the current music sensation Anirudh Ravichander. Many Singers, musicians will join the Super singer junior 5 finale event to enjoy and encourage the performers. The Super singer junior season 5 winners will be announced based on audience voting and Judges decision, based on the finalists performance in the grand finale. The voting lines are open from June 11th, till the last performance of the second round in the finale (June 17th) gets over. To vote for your favorite finalist, log on to https://supersinger.in and help them win the titles. And don’t miss the musical entertainment.